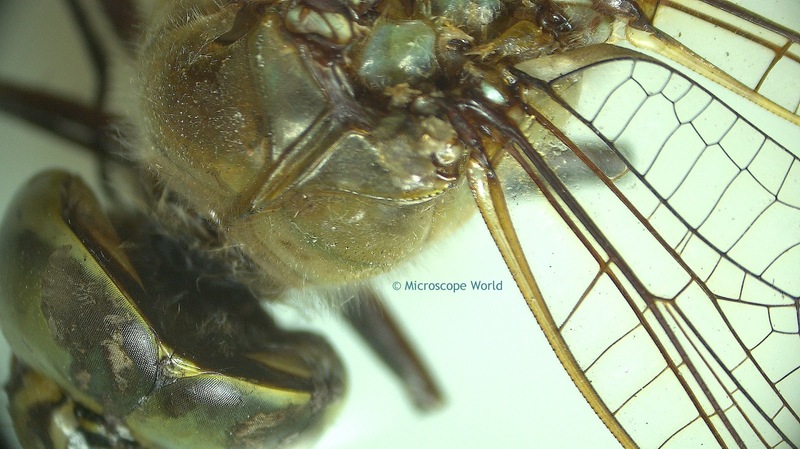 The images below of a dragonfly were captured using the high resolution Fein Optic FZ6 stereo zoom microscope and the Jenoptik Subra HD microscope camera. 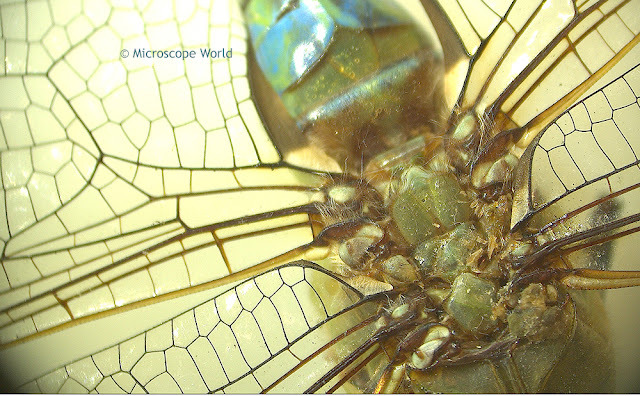 Dragonflies are fast, agile fliers, sometimes migrating across oceans, and are often found near water. 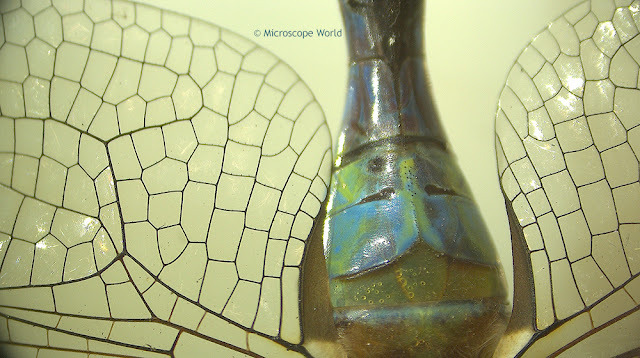 In flight, the adult dragonfly can propel itself in six directions: upward, downward, forward, back, left and right. 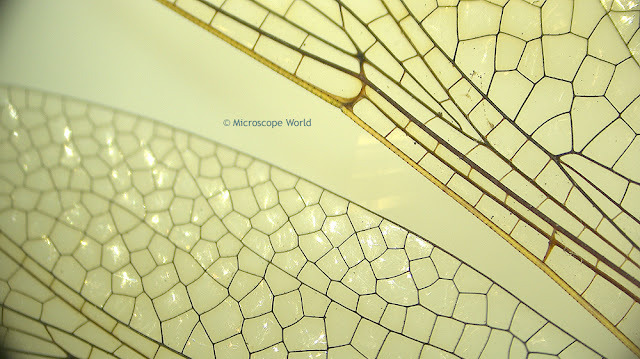 Each dragonfly image was captured between 7x and about 30x magnification. 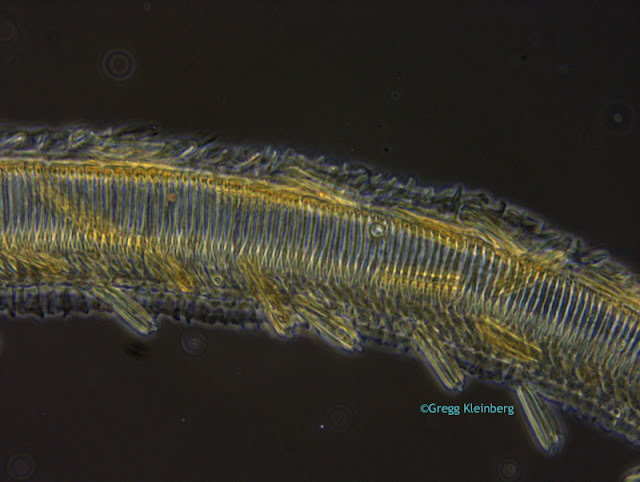 The images were captured using the Jenoptik Gryphax software that is included with the Subra HD camera. 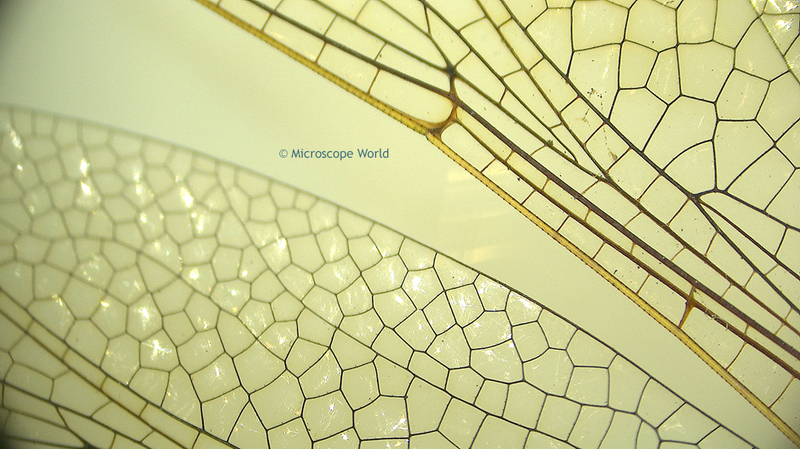 Dragonfly wing captured with the FZ6 stereo microscope. Dragonfly body captured with the FZ6 stereo microscope. Dragonfly captured with the FZ6 stereo microscope. 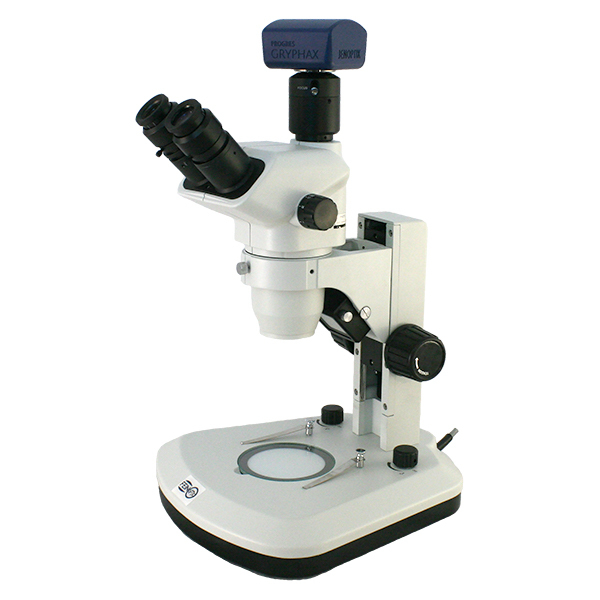 Contact Microscope World for more information on digital microscope systems. Microcystic Adnexal Carcinoma (MAC) is an uncommon, locally aggressive malignant appendage tumor commonly classified as a low-grade sweat gland carcinoma. The tumor usually occurs on the head and neck, particularly the central face. Microcystic adnexal carcinoma shows aggressive local invasion but has little metastatic potential. If MAC is diagnosed too late, it can be inoperable because of its infiltrative growth. 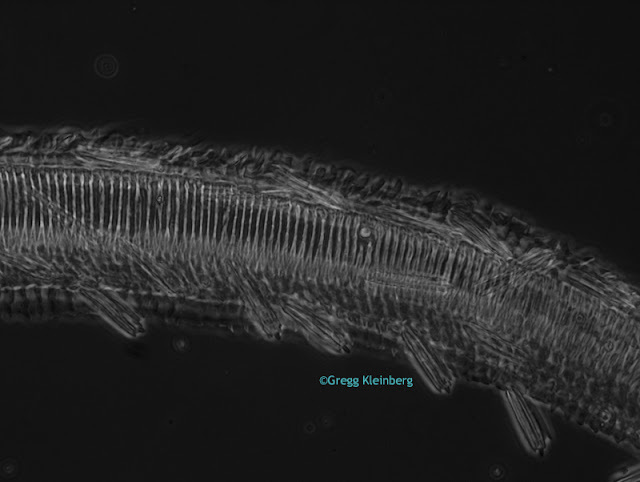 The images below were captured using a biological lab microscope and the Lumenera Infinity 2-5 CCD 5 megapixel microscope camera. Microcystic Adnexal Carcinoma under the microscope using the Lumenera Infinity 2-5 camera. Microcystic Adnexal Carcinoma Perineural (nerve) invasion. 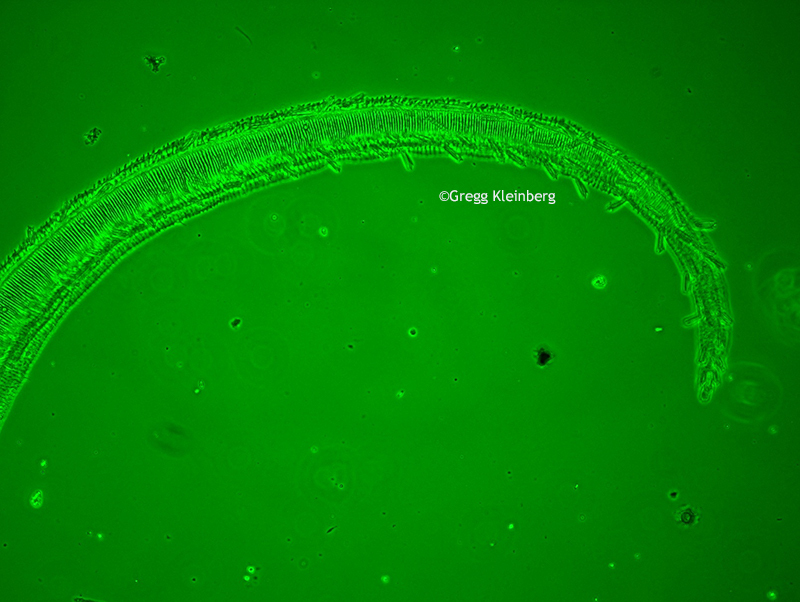 Image: Lumenera Infinity 2-5. Contact Microscope World for more information on microscope solutions and digital microscopy cameras. 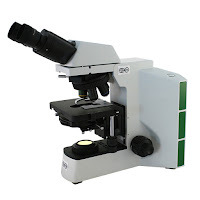 Mast cells are cells that reside in the connective tissue, specifically those vessels and nerves closest to external surfaces such as the skin, lungs, nose and mouth. 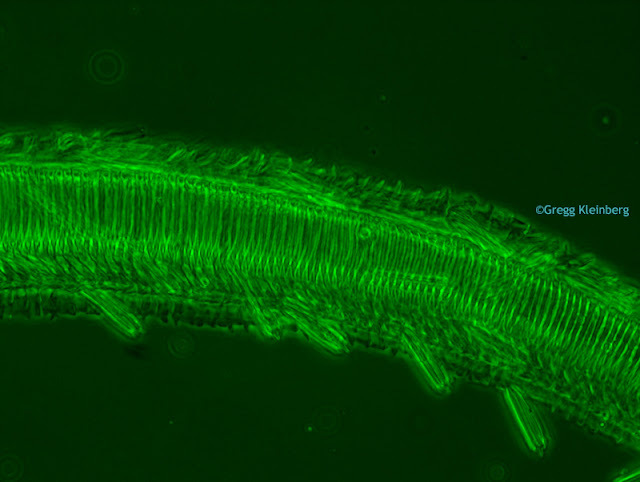 Their primary function includes defense against parasitic infestations, tissue repair and the formation of new blood vessels. They can also be associated with allergic reactions. 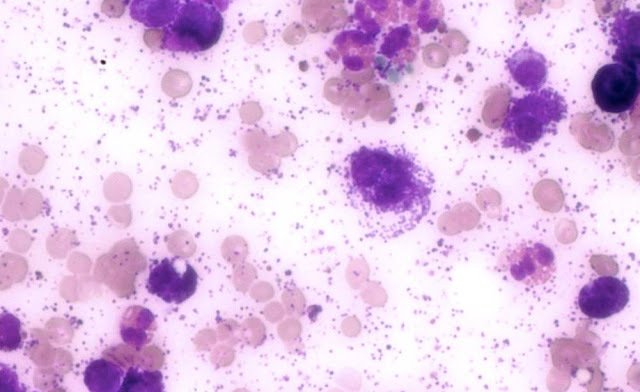 Mast cell tumors (mastocytomas) in dogs are graded according to their location in the skin, their presence of inflammation and how well they are differentiated. Grade 1 cells - well differentiated with low potential for metastasis. Grade 2 cells - intermediately differentiated with potential for locally invasive metastasis. Grade 3 cells - poorly differentiated or undifferentiated with high potential for metastasis. Stage 1 - single tumor, no metastasis. 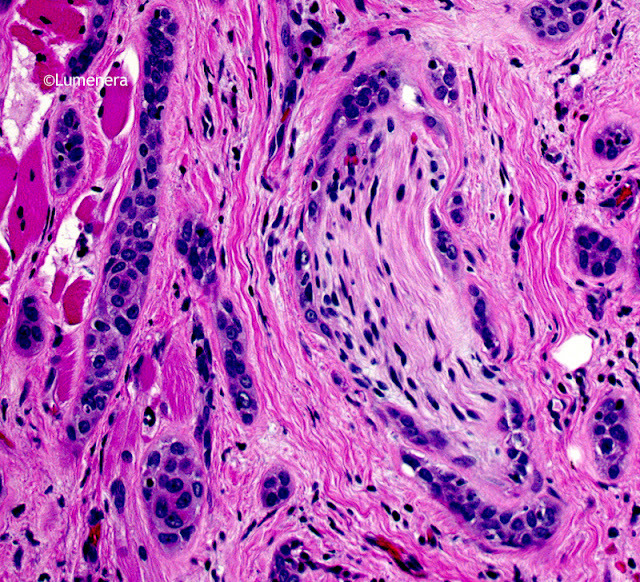 Stage 2 - single tumor with metastasis into the surrounding lymph nodes. 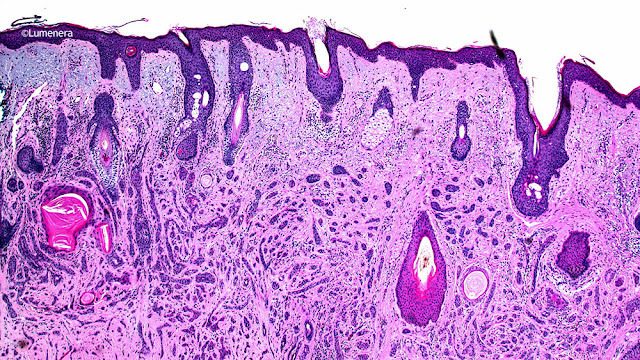 Stage 3 - multiple skin tumors, or a large tumor that has invaded subcutaneously. Stage 4 - presence of a tumor, with metastasis to an organ or widespread mast cell presence in blood. The image below of a canine mast cell tumor was captured with a biological microscope using the Lumenera Infinity 2-2 microscopy camera. The prepared slide was stained with a toluidine blue stain. For more information on microscopes or microscopy cameras, contact Microscope World.